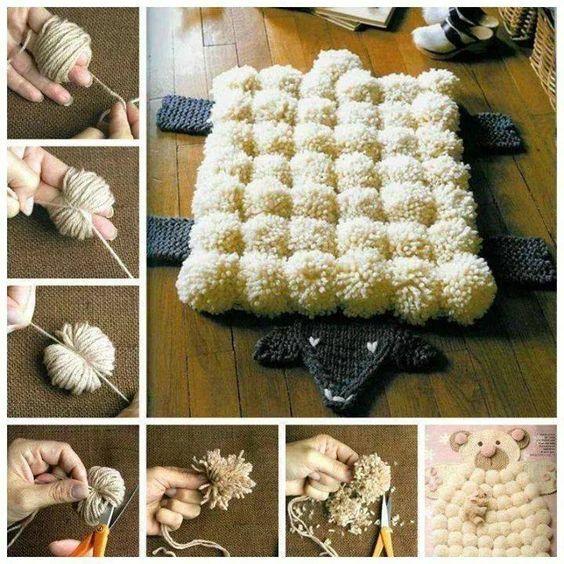 it will take some of your time to do it completely, but be sure that it is gonna be a fun activity for all members of your family. It does not seem particularly hard to make colorful pompoms that why i belive you’ll manage it fast. 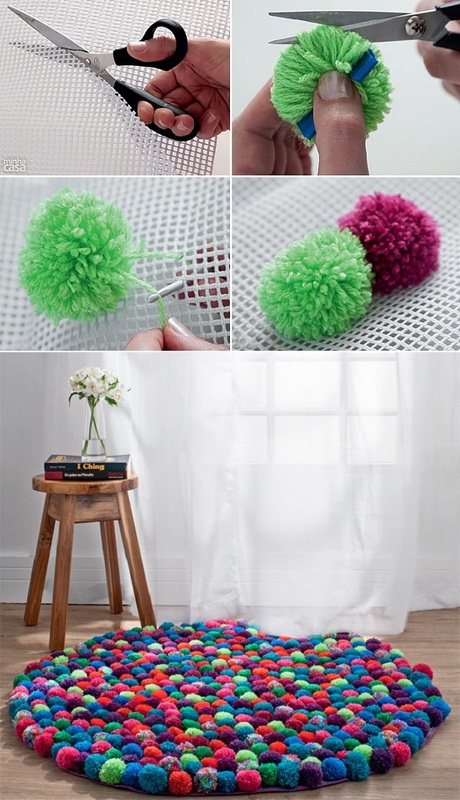 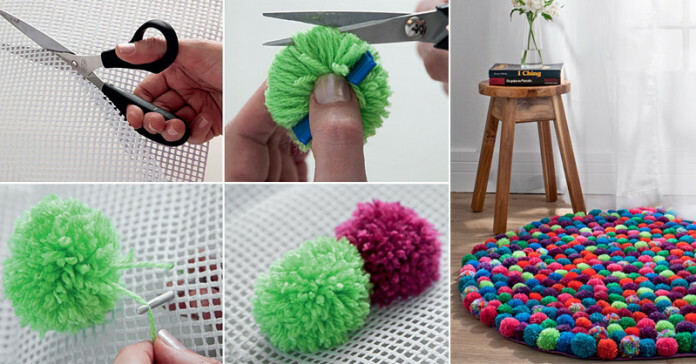 Pom-pom ring, Scissors, Crochet hook, Yarn in different colors, Non-skid rug mat.